“The Clone Wars” had its 10th anniversary panel at Comic-Con today, and it ended with the best surprise we could possibly get! “The Clone Wars” is back! At the end of the panel Dave Filoni said he had a surprise to say thank you to the fans for their continued support of the series, and then showed the awesome trailer that revealed the long anticipated Siege of Mandalore arc is being completed, and that “The Clone Wars” has been saved! You can check out the reveal trailer in the video above. But that’s not the only good news. StarWars.com has also revealed that there will be 12 new episodes coming, and that it will be coming to Disney’s new streaming service in 2019! This is literally a dream come true. I always held out hope that we would get The Siege of Mandalore arc completed one day, and that alone would have been enough for me. But the fact we’re getting 12 episodes total is more than I could have asked for. 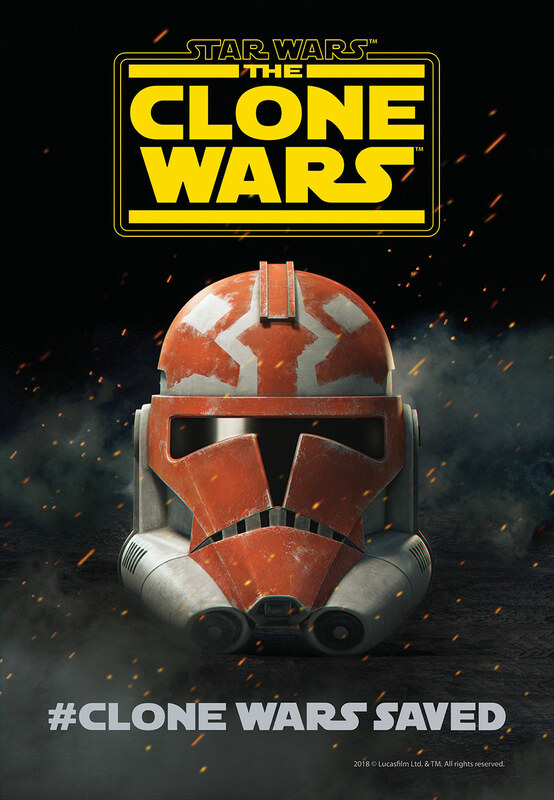 As a fan who’s been there since the beginning with “The Clone Wars” movie, I can’t think of a better way to celebrate the 10 year anniversary of this amazing series.